Second-level, corner unit condo, nicely maintained with fresh interior updated throughout. A three bedroom condo with more than 1000 s/f for this low price...why rent? An owner-run association in good financial shape, and a low monthly condo fee of only $125. Tons of storage with lots of kitchen cabinets, closets, and basement/attic storage areas. Modern, updated bathroom. Living room, dining room, & kitchen open floor plan. Many windows and natural light. Common laundry room on the same level as this unit & NOT coin operated; washer/dryer usage is included under the condo fee. Off-street parking. 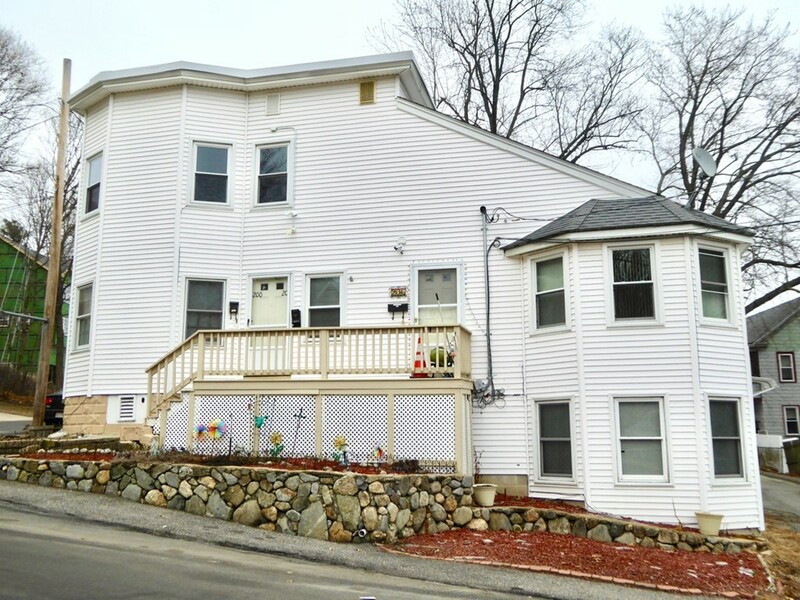 Nice residential neighborhood with easy access to route 495. A pet-friendly association. but it works just fine.